A special day for the Sun Bears! Visitors, guests, and visitors were invited to celebrate the annual Sun Bear Day together with our CEO and Founder, Dr. (Hons) Wong Siew Te. Bornean Sun Bear Conservation Centre, Sepilok, Sandakan, Sabah. 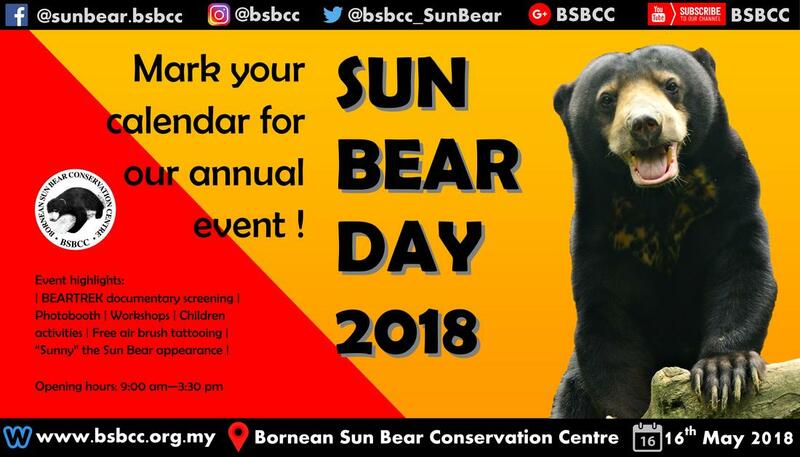 ​Sun Bear Day has always been aiming to educate and increase the awareness of the communities and especially the younger generations about the alarming threats towards the sun bear species and the roles they play in the wild. It serves as one of the platforms to spread awareness to the public by instilling knowledge on the importance of conserving the sun bears and preserving their habitats, with a variety of interesting programmes and fun activities throughout the day! Visit our Facebook page to view the photos of this event. ​Please enjoy the event highlights in the short video below by Scubazoo.